This topic contains 3 replies, has 2 voices, and was last updated by admin 1 year, 2 months ago. I have several conditionals dropdown for different cities that depend to the state. So, only one city is filled but I need map this city with the field in pdf form, I mapped all dropdown cities with the same field in pdf but this is always null except for the last dropdown of course. So I don’t know how to map this field. There is a way to correctly map the fields, however, we would need to see the web form and PDF form to be clear on our instructions to you. Complete this form with login credentials if possible, or upload a PRO2PDF template export, or upload the PDF form and provide a link to the web form for further review. 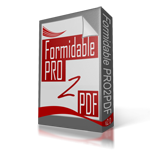 The pdf form has two fields one for Province and other for City. So, I need to map the selected Province with correspondent selected City. 1) Add two more fields to the PDF form on top of the existing field with all three fields set to transparent background, then map A to one, B to another, and C to the third. Resulting in only one of the PDF fields containing data, the other two will be blank.